We are not accepting any animal(s) to re-home/adopt-out. Please visit our RESCUE page for some currently included rescue related sites HERE. And as has been stated on that page, if you have any recommendations on rescue organizations that you think should be included on our site, please feel free to Send Us a Message with their contact information so we can add them to our resources. Oh, and you can always check out our ol' Community Bulletin Board here at our store if you're looking to get in touch with someone who might be looking for an animal to care for... sometimes people post "Wanted"/"Looking For" flyers there. Thanks, again! *As always, if you believe that an animal in your care is seriously injured please contact/visit your nearest vet immediately. Everybody has a different experience with veterinarians and rescue groups. 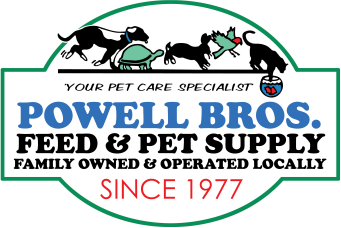 Powell Bros. does not necessarily vouch for, or not vouch for, the above organizations but we're hoping the lists at least help you find a good fit for you and yours. We haven't listed them in any particular order.